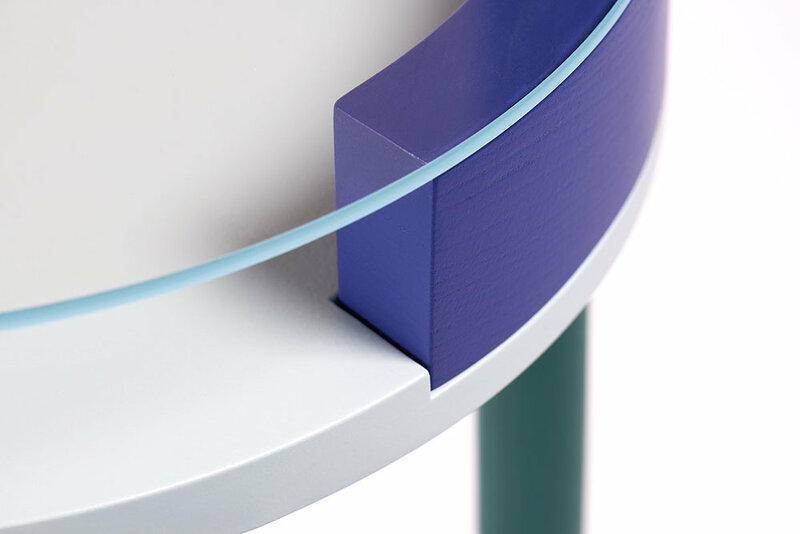 Ora is a series of side tables that focus on the round. 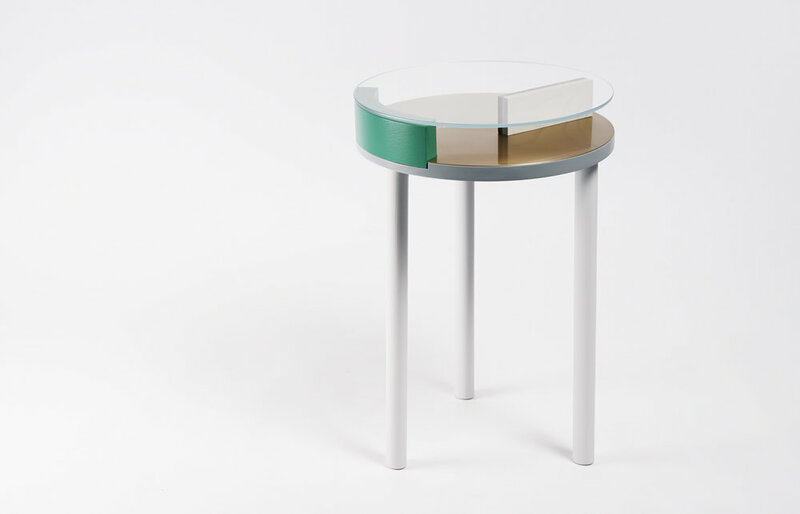 The tables combine ash, marble, brass and painted surfaces, that contain as well as support. Minimal isolated shapes both prop-up the circular glass surface and offer geometric see-through storage spaces for keys, photos, and other small objects.